ATTENTION! Our previously scheduled lunchtime photo has been postponed to bring you breaking news. EXCLUSIVE MUST CREDIT MOTHER JONES. 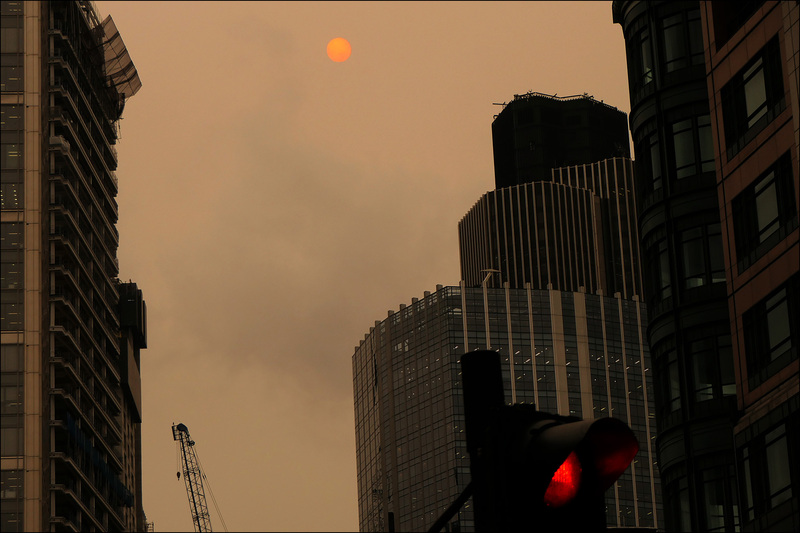 Armageddon hit London today as the skies turned brown and the sun blazed a sullen orange at midday! 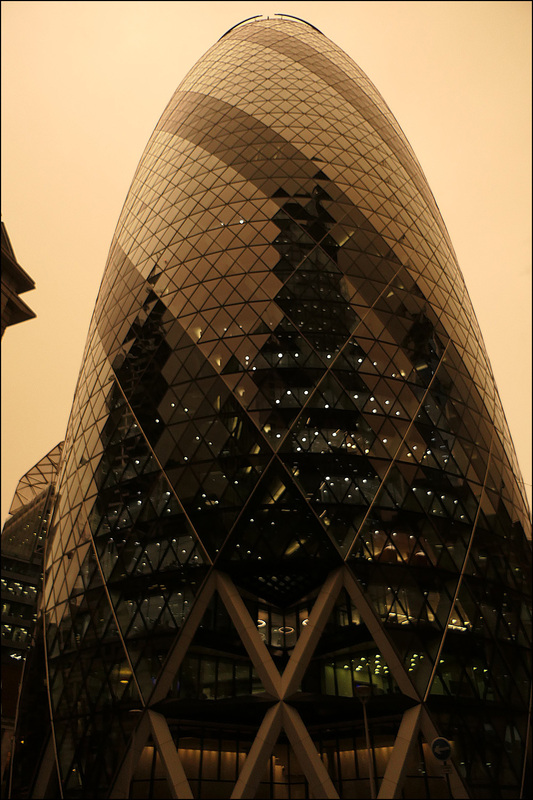 The Gherkin was so brown it looked like a cigar! 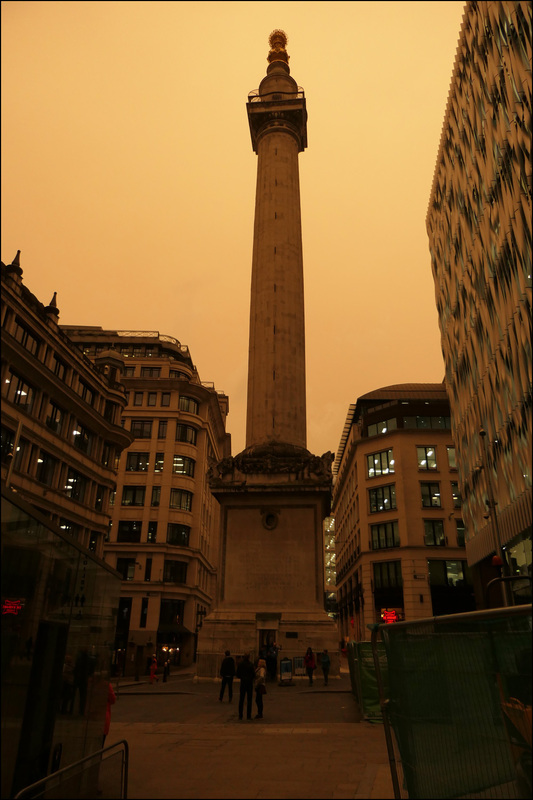 The Monument looked as if the city were on fire again! The view from Earl’s Court tube station was Satanic! 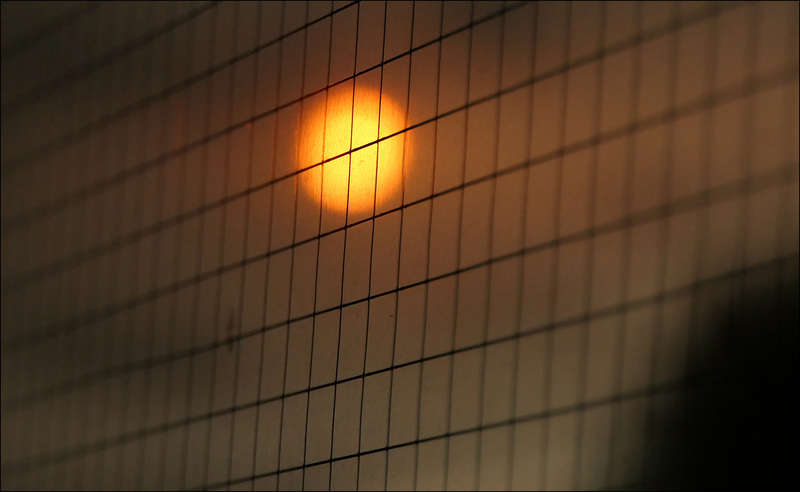 Ophelia has pulled in unseasonably warm air up from Spain and North Africa, bringing temperatures in the early 20s over the weekend….The air is safe to breathe, according to the Met Office, as the particles are high up in the atmosphere. So there you have it. From London, I’m Kevin Drum reporting.